Soon we shall travel to the USA to perform in some wonderful venues from LA, across Texas to Tulsa and on to St Louis – please see our events page for details. In common with most classical touring ensembles and orchestras, the ticket sales will not cover the travelling costs for such a large group as Libera. If you are able to consider making a donation towards this, or sponsoring us, please either email us at sponsorship@libera.org.uk or use the links below to donate in your preferred way. US Citizens, and other international supporters can support us by making donations directly via our USA charity. This is a 501(c)3 charity and donors benefit from US Tax relief if eligible. Use this link to donate via our USA charity. UK donors can donate via JustGiving. We benefit from UK Gift Aid for all donations received in this way from UK Tax Payers. Use this link to make a UK donation via JustGiving. Corporate sponsorship is also very welcome. We shall be publishing a free 20-page souvenir programme for the tour which will carry a list of significant donors, and will also include advertisements from corporate partners. The venues are all large, some in excess of 2000 capacity. We expect to reach a large and broad audience during our tour. There will be an opportunity for items to be autographed by the boys at the end of each concert. In addition we will be holding at least one meet and greet event during the tour. Libera in all its many manifestations, its music, its concert tours across the world, its church and cathedral singing, its training for talented boys in South London, would not be possible without the generosity of our donors. Purchased my concert ticket for Houston, booked flight, hotel & am excited to finally be attending a live concert after a decade following Libera. Can hardly wait to see them! My family and friends will be attending the concert in Garden Grove, California. We are super excited to see the boys perform here after first watching their Washington D.C. concert on PBS 3 years ago! They are amazing! I have been following Libera for two years now, and I am finally going to get to see you in person in Houston, Texas on August 3. I’m sure this will be a wonderful experience. I have purchased DVD and Cd’s and have watched everything on Youtube. Just can’t wait to see and hear all of you in person. I’m super excited to be going to my first Libera concert at the Christ Cathedral in Garden Grove this friday!!! I still can’t believe it!!! I first came across Libera about 8 years ago when I bought and downloaded my first album “Eternal Libera” and have enjoyed listening to their music, watching their music videos on youtube and dvds of their concerts since then. It will be a dream come true to see and hear them perform at a live concert after all of these years!!! 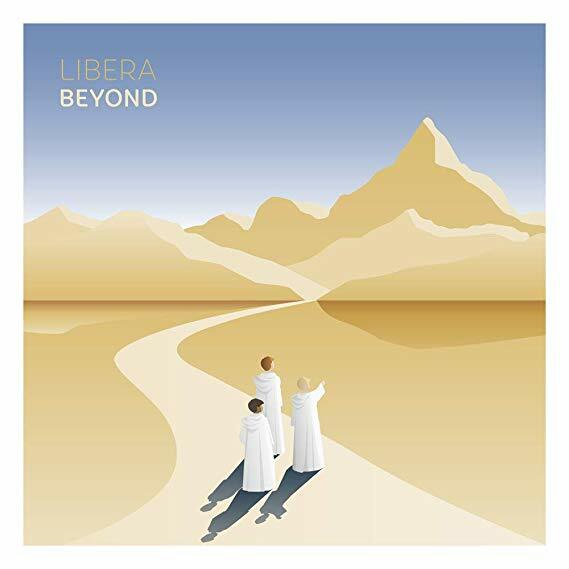 Libera and their music is a beacon of light, hope and peace to the world! So glad they came back to the USA this year!!! Looking forward to the Christ Cathedral concert. Attended the concert last night in Garden Grove. It WAS fantastik !!!! When the program sheet did not show “America the Beautiful” I was a little disappointed ? But when Libera finished with America the Beautiful, it was GREAT !!! !Thankk you for a wonderful evening !!! Looking forward to it here in Tulsa. What’s included in the setlist this tour? My daughters and I saw the choir in Westlake. Absolutely amazing!! My favorite was How Great Thou Art! Hmmm…Ravinia in Illinois would be a perfect venue for Libera in the future! I’m so happy to see you and hear your beautiful voices in my life. My favorite song is “i’m dreaming of home”and “angel”,,,,,,in hope album. and I could see libera legend ,big smile ,,,,,,josh. Oh my gosh!!! I saw the boys last night at Tallowood Baptist Church in Houston. They were stunning! Meeting the boys afterward was so much fun!! but it made me nervous, because I didn’t want to be disappointed. They were SO nice and polite and friendly. ALL OF THEM. I especially wanted to meet Allesandro, Alex, Taichi and Isaac… and I did. They were so polite to me. I went home on cloud 9! What a truly beautiful concert. Thank you boys, and all associated with these boys. They truly are angels! I’ve said it before: This is the most beautiful music I have ever heard! Loved the boys choir. Purchased two of their CDs. Great show . Came in from Maryland just to see you boys . My wife and I went to the St Louis concert and it was fantastic, Too bad there were some technical problems with the sound which were a distraction for us and for the boys also. Like true professionals they adjusted to the moment. We had seen them on previous occasions in the US, and we noticed that they looked pretty tired after a grueling concert schedule, but they were still great. We had a chance to meet them after the concert, and I only wish we had had a chance to talk to them longer. We so wanted to personally express our gratitude to Isaac and Lorenzo for the many years of song that brought us and so many others such immense pleasure. We watched them grow and develop over the years from little tikes to charming young men. Thank you guys from the bottom of our hearts! I hope someday Libera will tour Indian sub continent.